Unique opportunity! luxurious 3bed,3bath apartment for sale! this is the perfect investment property since it can be rented long term or as a vacation rental, both with incredible income possibilities, this ideal property is located at the heart of Playa del Carmen, dtwn to be specific, just one block walking distance to the beach and just a few steps from the famous 5th avenue, just recently fully remodeled, this great apartment has a master bedroom on the second floor which also has a spacious walking closet with an ample terrace with breath taking views to the ocean, there is also a second terrace/backyard on the first floor with ocean views. this unique apartment is one of the very few 3 bedroom apartmens left available in the Playa dtwn area, don't let this great opportunity get away! 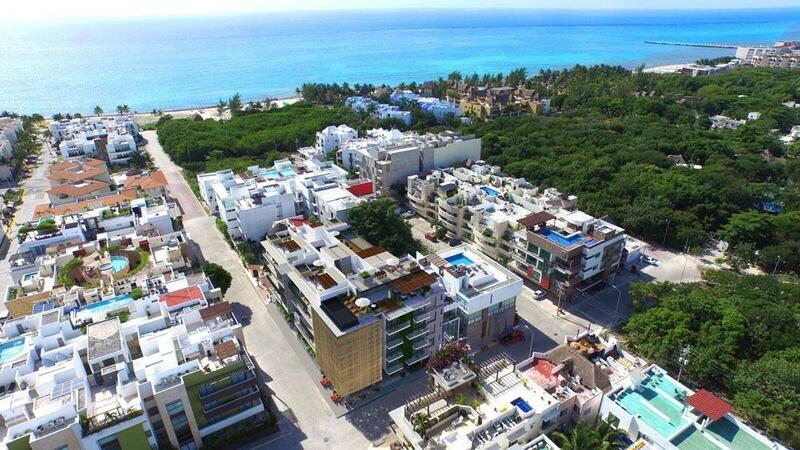 and become a part of a selected group of short-sale buyers in Playa del Carmen.